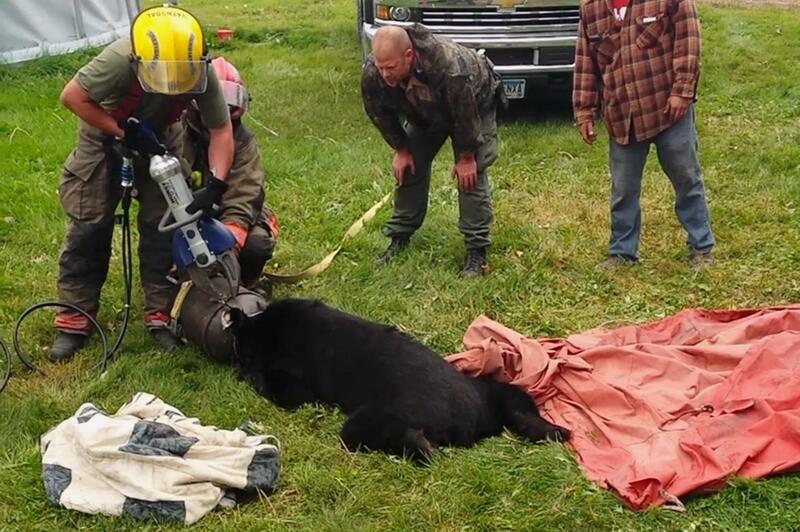 Wed., Sept. 12, 2018, 2 p.m.
ROSEAU, Minn. – Firefighters had to use the Jaws of Life to help free a black bear whose head was stuck in a milk can in northern Minnesota. After about two hours, Benjamin called the Roseau Fire Department, which used the Jaws of Life – normally used to extricate car accident victims – and a spreader to pry the can off. Published: Sept. 12, 2018, 2 p.m.